Adventure Events specialise in fun, unusual and exciting events. From corporate teambuilding, hospitality and varied entertainment to private and public group events, we are a perfect one stop shop for your varied event and entertainment requirements. 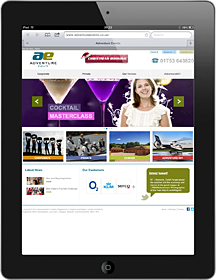 We offer events across the UK whilst our main bases are in London and the South. The hub of our operations is our spectacular Beaconsfield venue, located on the beautiful 2,400 acre Portman-Burtley Estate. Facilities include a converted barn for conferencing, an incredible spa retreat, an enclosed courtyard for outdoor catering and events and at every turn wonderful uninterrupted views across the ancient Buckinghamshire woodland and fields. Our estate also connects with the Burnham Beeches hotel, providing further facilities for you events and fantastic accommodation. The Estate is just 30 minutes drive from Central London; a small and friendly venue where you will get the personal experience you really need. Our Events team combine the highest of standards and professionalism with a warm, personal and friendly approach. Our mission for you and your group is to have a truly unforgettable experience, whether it’s a corporate team building day, a bespoke event, hen or stag party or simply a gift experience for you and your friends. With our amazing venues on London's door step, Adventure Events have an array of fun and exciting events to offer every occasion. Our venues offer a completely blank canvas and we are always happy to discuss and adapt our venues and programmes to your individual requirements.